As scholars, scientists, campaigners, and citizens, we write with the conviction that knowledge and technology, applied with wisdom, might allow for a good, or even great, Anthropocene. John Asafu-Adjaye is an associate professor of economics at the University of Queensland in Brisbane, Australia. His research interests are in the areas of natural resource and environmental economics, specifically in energy and climate change economics. The economic impacts of climate change on agriculture in Africa. Journal of African Economies 23, ii17–ii49 (2014). Is there a role for biofuels in promoting energy self sufficiency and security? A CGE analysis of biofuel policy in Thailand. Energy Policy 55, 543-555 (2013). Managing Macroeconomic Policies for Sustainable Growth: A Computable General Equilibrium Inquiry (Edward Elgar, Cheltenham, UK, 2012). Linus Blomqvist is Director of Conservation at the Breakthrough Institute and a member of the Breakthrough Advisory Board. Linus’s work is centered on how to preserve the world’s ecological heritage in a world of seven going on nine billion increasingly well off people. His current research focuses on how technological progress is decoupling humanity’s environmental footprint from economic growth, and the implications of this process for conservation theory and practice. Planetary Boundaries: A Review of the Evidence. 2013. The Breakthrough Institute. Does the terrestrial biosphere have planetary tipping points? Trends in Ecology and Evolution 28, 396-401 (2013). Does the shoe fit? Real versus imagined ecological footprints. PLOS Biology. DOI: 10.1371/journal.pbio.1001700 (2013). Stewart Brand is cofounder of Revive & Restore, The Long Now Foundation, The WELL, Global Business Network, and founder/editor of the Whole Earth Catalog. His books include Whole Earth Discipline: The Rise of Ecopragmatism, The Clock of the Long Now, How Buildings Learn, and The Media Lab. He was trained in ecology at Stanford and served as an Infantry officer in the US Army. Whole Earth Discipline: The Rise of Ecopragmatism (Penguin Books, New York, 2010). The Clock of the Long Now (Basic Books, New York, 2000). Barry Brook, an ecologist and modeller, is professor of environmental sustainability at the University of Tasmania. He has published three books, over 250 refereed papers, and is a highly cited researcher. His work focuses on environmental change and synergies of human interactions with the biosphere. He is a Breakthrough Senior Fellow (2012). Key role for nuclear energy in global biodiversity conservation. Conservation Biology. DOI: 10.1111/cobi.12433 (2014). Strange bedfellows? Techno-fixes to solve the big conservation issues in southern Asia. Biological Conservation 151, 7-10 (2012). Why vs. Why: Nuclear Power (Pantera Press, Sydney, AU, 2010). Ruth DeFries is Denning Family Professor of Sustainable Development at Columbia University. Her research examines human transformation of the landscape and its consequences for climate, biodiversity, and ecosystem services. Her most recent book is The Big Ratchet: How Humanity Thrives in the Face of Natural Crisis. The Big Ratchet: How Humanity Thrives in the Face of Natural Crisis (Basic Books, New York, 2014). Planetary opportunities: A social contract for global change science to contribute to a sustainable future. BioScience 62, 603-606 (2012). Erle Ellis is an environmental scientist at the University of Maryland, Baltimore County, and a leading theorist of what scientists now describe as the Anthropocene, the age of humans. His research investigates human-managed ecosystems at local and global scales with the goal of sustainable stewardship of the biosphere. He is a Breakthrough Senior Fellow (2012). Putting people in the map: anthropogenic biomes of the world. Frontiers in Ecology and the Environment 6, 439-447 (2008). Used planet: A global history. Proceedings of the National Academy of Sciences 110, 7978-7985 (2013). The Planet of No Return: Human Resilience on an Artificial Earth. Breakthrough Journal 2 (Spring 2012): 37-44. Christopher Foreman is a nonresident senior fellow at the Brookings Institution. His book The Promise and Peril of Environmental Justice examines the limitations of environmental justice advocacy. He is also director of the social policy program at the University of Maryland. Foreman is a Breakthrough Senior Fellow (2011). The Promise and Peril of Environmental Justice (Brookings Institution Press, Washington, DC, 1998). On Justice Movements: Why They Fail the Environment and the Poor. Breakthrough Journal 3 (Winter 2013). David Keith has worked near the interface between climate science, energy technology, and public policy for 25 years. He took first prize in Canada's national physics prize exam, won MIT's prize for excellence in experimental physics, and was one of TIME Magazine's Heroes of the Environment. He is Professor of Applied Physics in the School of Engineering and Applied Sciences and Professor of Public Policy in the Harvard Kennedy School, and spends about a third of his time in Calgary, where he helps lead Carbon Engineering a company developing technology to capture of CO2 from ambient air. Martin Lewis is a senior lecturer in the department of history at Stanford University. His research pertains to the historical development and political usage of key geographical ideas. Lewis has coauthored two leading textbooks on world geography. He is a Breakthrough Senior Fellow (2014). Indo-European Languages: Facts and Fallacies in their Origin and History (Cambridge University Press, Cambridge, UK, forthcoming April 2015). Green Delusions: An Environmentalist Critique of Radical Environmentalism (Duke University Press, Durham, NC, 1992). The Education of an Eco-Modernist: From Eco-Radicalism to Radical Pragmatism. Breakthrough Journal 4 (Summer 2014). Mark Lynas is the author of several books on the environment, including High Tide; Six Degrees; The God Species; and Nuclear 2.0. Mark is currently a visiting fellow at Cornell University’s College of Agriculture and Life Sciences, working with the newly launched Cornell Alliance for Science. He is a frequent speaker on climate change, biotechnology, and the importance of science in society. Nuclear 2.0: Why a Green Future Needs Nuclear Power (UIT Cambridge Press, Cambridge, UK, 2013). The God Species: Saving the Planet in the Age of Humans (National Geographic, Washington, DC, 2011). Six Degrees: Our Future on a Hotter Planet (Harper Perennial, New York, 2008). The Death of Environmentalism. Breakthrough Institute. 2004. Break Through: From the Death of Environmentalism to the Politics of Possibility (Houghton Mifflin, New York, 2007). Evolve. Breakthrough Journal 2 (Spring 2012). Roger Pielke, Jr. is professor in the environmental studies program at the University of Colorado and director of CU's Center for Science and Technology Policy Research. His most recent book is The Rightful Place of Science: Disasters and Climate Change (2014). 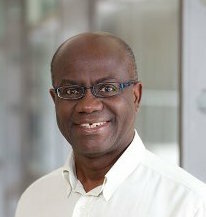 Roger is a Breakthrough Senior Fellow (2008) and a member of the Breakthrough Advisory Board. The Honest Broker (Cambridge University Press, Cambridge, UK, 2007). The Climate Fix (Basic Books, New York, 2011). The Rightful Place of Science: Disasters and Climate Change (Consortium for Science, Policy & Outcomes, Washington, DC, 2014). Rachel Pritzker is president and founder of the Pritzker Innovation Fund, whose mission is to support the development and advancement of paradigm-shifting ideas to address the world’s most wicked problems, with a focus on the policies and technological innovations necessary to provide clean, cheap, abundant energy for all on an ecologically vibrant planet. Rachel also serves as Chair of the Breakthrough Advisory Board, co-chair of the Clean Energy Program at Third Way, and is a board member of the Center for Global Development. Energy Myths: Climate, Poverty and a Reason to Hope. TEDxBeaconStreet. November 2015. The case for energy abundance. Stanford Social Innovation Review. 12 Dec 2014. Nuclear: a surprisingly progressive solution to climate change. CNN Opinion. 7 Nov 2013. Pamela Ronald is a professor in the Department of Plant Pathology and the Genome Center at UC Davis; director of Grass Genetics at the Joint Bioenergy Institute; and faculty director of the UC Davis Institute for Food and Agricultural Literacy. She is coauthor with Raoul Adamchak of Tomorrow’s Table: Organic Farming, Genetic, and the Future of Food and a cofounder of the nonprofit Biology Fortified Inc.
Tomorrow’s Table: Organic Farming, Genetic, and the Future of Food (Oxford University Press, New York, 2010). The case for engineering our food. TED. March 2015. Joyashree Roy is ICSSR National Fellow and professor of economics at Jadavpur University in Kolkata, India. She initiated and also coordinates the Global Change Programme. Joyashree is among the network of scientists who shared in the 2007 Nobel Peace Prize awarded to the Intergovernmental Panel on Climate Change. She is a Breakthrough Senior Fellow (2014). Estimating Energy-Augmenting Technological Change in Developing Country Industries. Energy Economics 28, 720-729 (2006). The Rebound Effect: Some Empirical Evidence from India. Energy Policy 28, 433-438 (2000). Productivity Trends in India's Energy Intensive Industries. The Energy Journal 20: 32-62 (1999). Mark Sagoff is a senior fellow at the Institute for Philosophy and Public Policy and a professor of philosophy at George Mason University. A trenchant critic of the “scientization” of ecological issues, Mark has argued that environmentalism must speak to social values. His books, including The Economy of the Earth (2008), are landmarks in the field. Mark is a Breakthrough Senior Fellow (2012). The Quantification and Valuation of Ecosystem Services. Ecological Economics 70: 497-502 (2011). What Does Environmental Protection Protect? Ethics, Policy & Environment 16: 239-257 (2013). The Plaza and the Pendulum: Two Concepts of Ecological Science. Biology and Philosophy 18: 529-552 (2003). Robert Stone is an award-winning, Oscar- and Emmy-nominated documentary filmmaker. His most recent film, Pandora’s Promise, documents the anti- to pro- conversion of five leading environmentalists who support nuclear energy in light of climate change. Among his other work is an epic history of the rise of the modern environmental movement, Earth Days, which premiered as Closing Night Film at the Sundance Film Festival. He is working on a documentary on how the Apollo moonshot was marketed to both the American public and the world. Peter Teague is Senior Advisor at the Breakthrough Institute. Previously he was Senior Vice President and Chief Strategy Officer at the Nathan Cummings Foundation, where he played a pioneering role in funding work that has coalesced into the emerging ecomodernist movement. He comes to Breakthrough with extensive experience in the environmental field, having served as senior environmental policy advisor to Congressman Leon Panetta, Senate candidate Diane Feinstein and U.S. Senator Barbara Boxer. A former business litigator, Peter worked for two years as a Peace Corps volunteer in Sierra Leone, West Africa. His career in philanthropy includes service as Senior Program Officer at the Tides Foundation and Executive Director of the Horizons Foundation, the nation's oldest and largest community foundation serving lesbian, gay, bisexual, and transgender people. A Call to De-escalate the Climate Wars, The Breakthrough, 3 March 2015. Global Warming in an Age of Anxiety, The American Prospect, 26 June 2007.